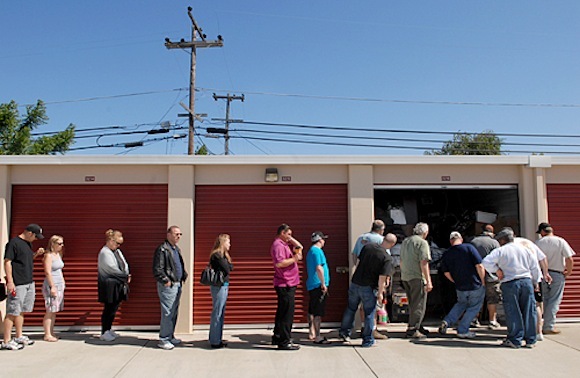 Is very common in the United States, self storage facilities may hold storage auctions (also known as lien sales) to vacate non-paying tenants according to their enforcement rights that are outlined within the lien law of each state. These lien auctions are open to the general public, with most bidders buying for the purpose of reselling for profit. If the customer fails to pay the rent, a lien is placed on the customer’s goods and they are sold at auction. The storage facility lien rights are codified in most states. The customer is still responsible for any rent and fees due if the auction does not clear their balance. Be sure to arrive 10-15 minutes prior to a scheduled auction. 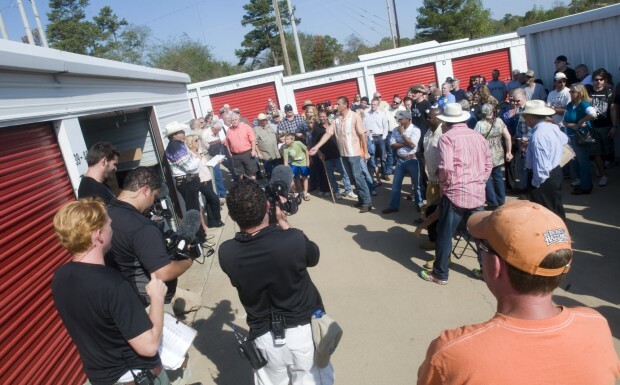 Before the auction starts, the self storage facility or auctioneer will have a sign in sheet and a set of their company’s rules going over the terms and conditions of the auction. Terms and conditions will vary with each site. Most auctions are ‘live’ or ‘verbal’, very few are silent (sealed bids). Cash is the acceptable form of payment and sales tax will be charged if the buyer cannot show a valid resale license and proper identification.